The men of the United States Navy vessel, the USS Roanoke, are on an important spying mission in Soviet waters. 100 fathoms below, they have no way out of their immediate quarters, even if they desire one. 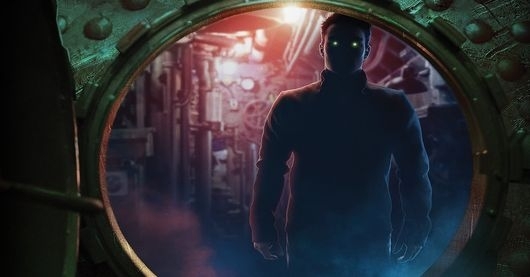 As various crew members begin to exhibit strange and violent tendencies, it soon becomes clear that something sinister is on board with them, and being enclosed and stuck in such close proximity to others has never been so terrifying. 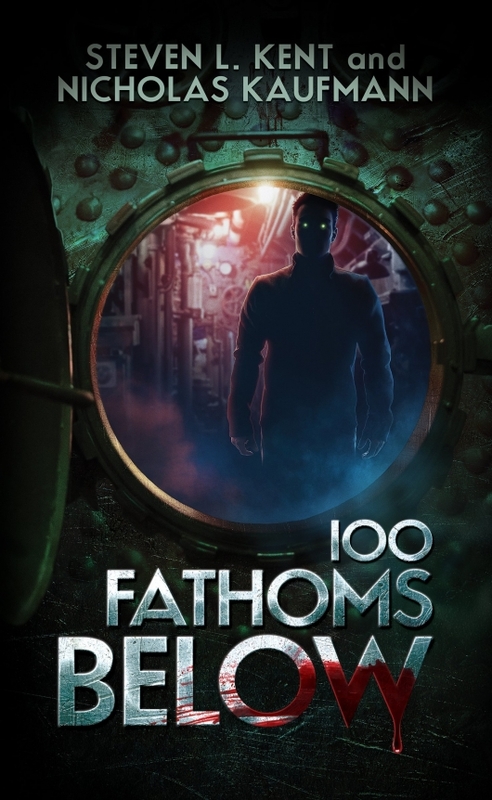 In 100 Fathoms Below, authors Steven L. Kent and Nicholas Kaufman have created a retro horror story in the vein of a Stephen King novel. Certainly scary at times, the novel’s main source of tension comes from the ever-present comprehension of the men that there really isn’t anywhere to run when things go horribly wrong. Unfortunately, that isn’t quite enough to sell me on the story as a whole. As I said, I did find some parts of 100 Fathoms Below scary, and in turn, enjoyable, but my main gripe is due to the lack of characterization. For such a short book — falling just under 300 pages — there are way too many point of view characters, and not enough time to really get to know many of them. With the mystery/horror aspect of the plot introduced immediately, the focus of each character’s attention is mainly toward the happenings aboard the Roanoke. Sure, some of the characters’ backstories are hinted at, and are even the source (well, first source) of tension among other characters, but their personal depth just isn’t there. And to add to that, I found myself having to re-read sections over again to figure out who was who, because many of the distinct voices are not that distinct at all. I really wanted to like 100 Fathoms Below. The synopsis and cover both had me sold from the start. Unfortunately, that’s about as much as I can recommend.